Fill out the order form coming home at the end of February with children enrolled in a Polk County or District 1 elementary school or preschool. The form will tell you whether to return it to your child's school or mail it in. ​If you miss the deadline, you can still mail in your order form with payment, and we will attempt to fill your order as ticket availability allows. 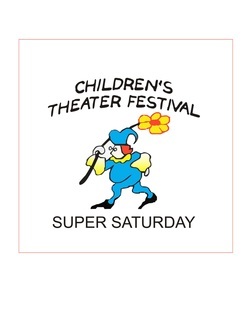 Note that we will not be mailing out tickets this year: you must pick up your order at the Super Saturday Box Office. You can also stop by the Box Office to see what tickets are still available beginning the day after the Round Robin. Note: During the Round Robin, ticket orders from schools and the local community are filled round by round until all are complete. Please know that we make every effort to fill orders as requested, but our shows do sometimes sell out. Please be sure to note possible substitutions in case your first choice is sold out. Find out how to get tickets at the box office. Most years our shows sell out, so get your tickets early for the best selection!